Inspired by the character Noah from Maggie Stiefvater&apos;s novel THE RAVEN BOYS, first book in THE RAVEN CYCLE. 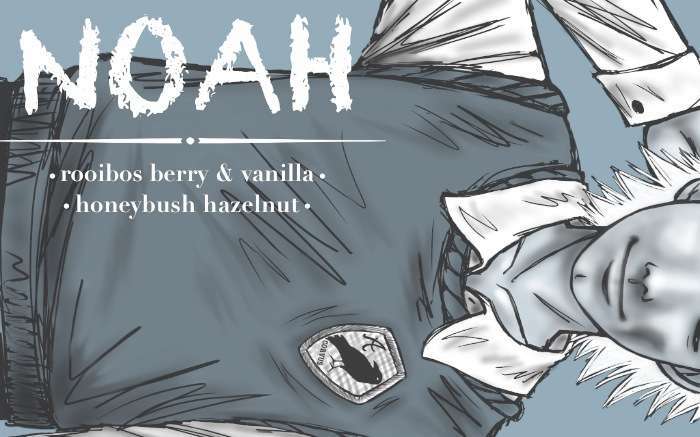 ---Rich vanilla and lightly sweet rooibos paired with creamy cozy hazelnut lay the foundation of Noah&apos;s mellow and warm personality. Add in the deep fruity flavor and earthy aroma of summer forest berries plus a sprinkling of spicy clove and you&apos;ve got yourself a cup of yummy foreshadowing and mystery. The Raven Boys: Noah has hooked up with Raven Boys Blend. 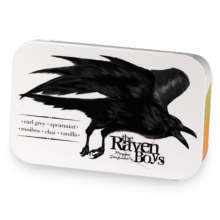 Love The Raven Boys: Noah? This is just one of 2 teas in this fandom. Check out the whole series.